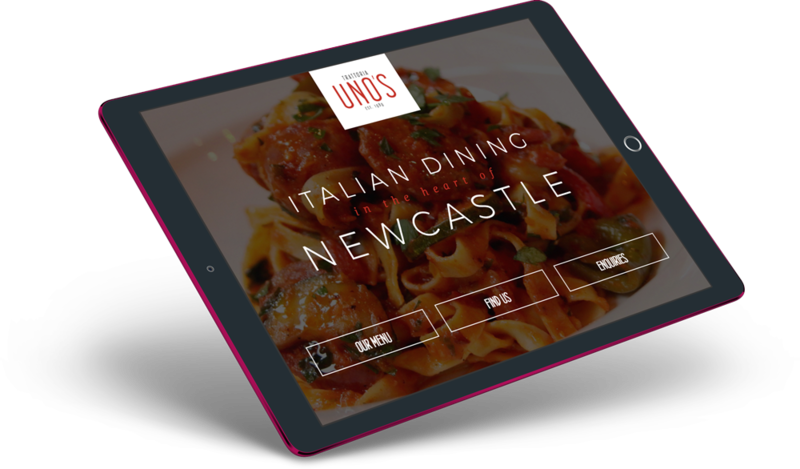 We redesigned Uno’s website to work on all modern devices – over half of their audience was viewing the menu on a screen it wasn’t designed for. The new site is all contained within one page, making it easier than ever for customers to browse the menu, get directions or parking information and make booking enquiries. 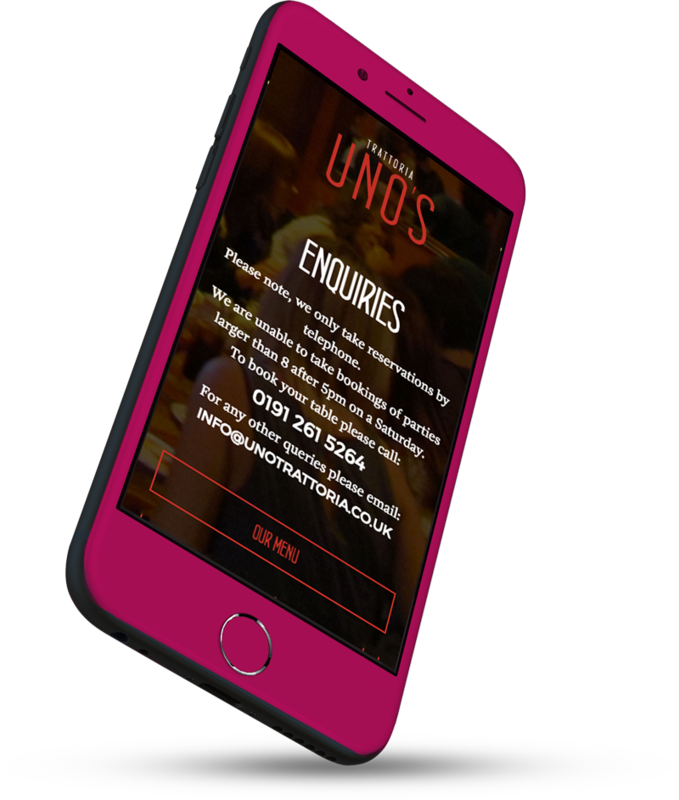 Onsite and offsite SEO has led to incredible success on the major search engines, with Uno’s coming top for Italian restaurants in Newcastle every time.